Sand hills, scorching heat with a hot spot for shopping, monstrous structures and the most amazing days and nights with a water foreground around it, if you have still not got what I am speaking about then let me raise the curtain. Welcome to DUBAI. For everyone Dubai is a place for luxury, shopping and those fabulous structure built across it lands which seem to be defying the laws of Gravity. People around the world get mesmerized by it even before they land in this country. Westerners call it the ‘Third World’. It has its own image of showing. The combination of its in-born culture and combining it with the western feel of it grabs the maximum attention. There is not one person in this world that will not fall in love with this place. It is hard to believe that all the magnificent structures are built on reclaimed lands which were once a dessert. The idea of ‘Old Dubai’ still exists. If you haven’t experienced the driving in Dubai then you have missed the most amazing part of it. It feels like you are going in circles. It is a treasure trove for people who are aspiring to become architectures. Za’abeels Palace, Madinat Souk, Deira Spice Souk, Deira Gold Souk, Burj Khalifa any place you go you see how meticulously Dubai is planned out. 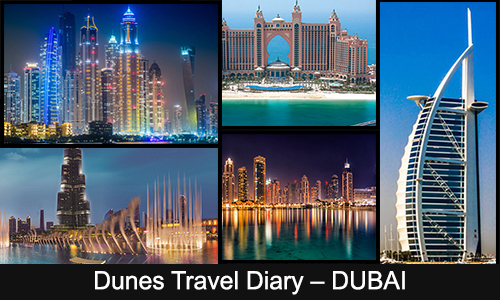 There is so much more to Dubai than just buildings. The Dessert Safari is simply to die for. If you have not been there and have been to Dubai, then I must say you have missed the most amazing part of it. Not just big markets, but there are small markets which portray a variety of art and cultural things. One must visit and try to get some memoirs from there as well. I am sure many of you are waiting to get there. Then let me tell you how to get your visa processed. Get a valid passport and fill out the Visa form for Dubai. There is a very easy way of going through the process. Click on the link and get all the information you want regarding your visas.